You may already know that lemons are nourishing and energizing. Did you know their peels hold the highest concentration of their health-promoting properties? Lemon essential oil is cold-pressed from lemon peels and is one of the most versatile essential oils. Its applications range from everyday health and mental clarity to healing specific ailments, improving your skin and hair and cleaning your home. Limonene is the active compound in lemon essential oil responsible for both its citrusy scent and mental health benefits. Limonene is highly volatile, which means it quickly evaporates into a gas you can inhale for aromatherapy. In one study, when researchers exposed mice to lemon essential oil, they saw significant shifts in hormone levels and behaviors. They found that lemon oil attenuated depression even better than the antidepressant drug fluoxetine. Like antidepressant drugs, it worked by modulating concentrations of the mood-altering hormones norepinephrine, dopamine and serotonin in the brain. Simply inhaling lemon essential oil has instant brain-boosting effects. By increasing dopamine levels, it improves your motivation, mood and concentration levels. It increases alertness and enhances memory function by raising levels of the neurotransmitter norepinephrine. Interestingly, ADHD treatment drugs like Adderall actually work by increasing the availability of dopamine and norepinephrine in the brain. Lemon oil aromatherapy is even shown to improve cognitive performance in patients with Alzheimer’s disease and dementia . Lemon oil’s hormone-altering abilities also translate to reduced stress and anxiety. One study on rats showed that inhaling lemon oil lowered levels of the stress hormone corticosterone. It also noticeably reduced anxious behaviors . In a human study, participants had better recovery from stressors when they inhaled lemon oil instead of lavender oil or water . Lemon oil boosts hair growth and strength by increasing the production of collagen–the protein that gives hair its structure and prevents thinning. It “wakes up” dormant hair follicles so they can grow new hair strands. Lemon oil also lightens your hair slightly and promotes a healthy shine. You can combine a few drops of lemon oil with a carrier oil like coconut or jojoba oil and leave it in for 2 or more hours as a hair growth mask. When you feel like you’re coming down with a cold or flu, grab your bottle of lemon oil. Take 3 drops under your tongue or mixed with a drink to give your immune system a boost. The limonene in lemon oil is a polyclonal activator, which means it stimulates the activity of T cells and B cells—immune cells directly involved in making antibodies to fight infections . Like all citrus oils, lemon oil is a potent source of vitamin C. When you take it orally, the vitamin C in lemon oil provides antioxidant support and can reduce the duration and symptoms of colds and flus. According to studies, limonene reduces your risk of tumor formation by detoxifying cancer-causing chemicals from the body. Amazingly, this powerful compound found in lemon oil is also shown to reverse tumor and cancer growth. In a study on rats, limonene reduced mammary carcinomas, which are found in women with breast cancer . As a natural antimicrobial and antifungal agent, lemon oil comes in handy as a versatile natural remedy for various conditions. For example, you can use a cotton swab to apply a couple drops onto the site of a canker sore. The lemon oil will kill the bacteria causing the sore and reduce the pain and swelling accompanying it. Gargling a few drops of lemon essential oil diluted in warm water can even relieve a sore throat and kill the germs that are irritating it. Lemon oil also treats warts and athlete’s foot. To make a natural multi-purpose cleaning spray, add lemon oil to distilled white vinegar. Besides killing pathogens, this cleaner will also ward off insects in your home. The antioxidant, antimicrobial and astringent properties in lemon essential oil benefit your skin when you apply it topically. 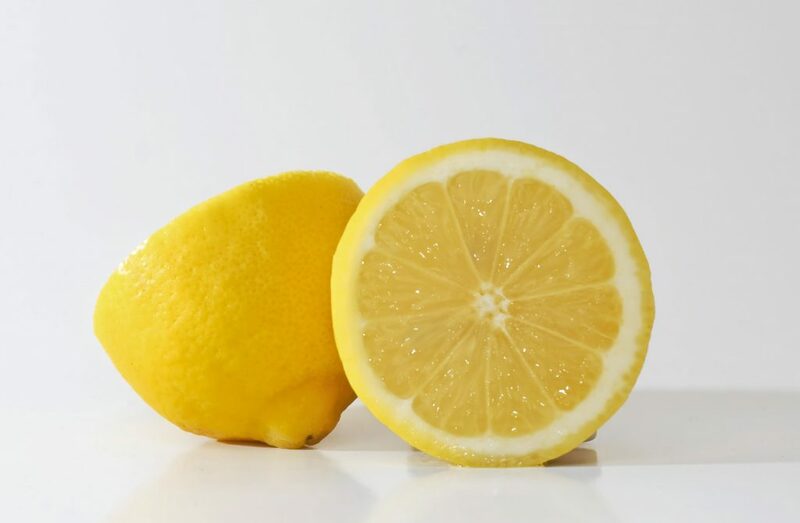 Lemon oil treats acne by cleansing the skin, reducing inflammation and promoting an even skin tone. You can add it directly to the site of a pimple to help clear it up. Lemon oil balances your skin’s natural oil production, so you can use it to help moisten dry skin or to control oily skin. Adding 1 or 2 drops to a dollop of facial cleanser will shrink large pores, detoxify skin cells and remove dead skin cells. Lemon oil also softens tough calluses when applied directly to rough skin. Lemon oil is an alkalizing agent that can relieve gastric symptoms like acid reflux and indigestion. It works by protecting the gastric mucosa that lines your digestive tract from erosion . One study even found it works as a natural remedy for constipation . You can take 2 to 3 drops internally or use it to massage your abdomen to get relief for digestive complaints. The astringent properties of lemon oil gently detoxify your liver and kidneys while boosting circulation throughout your body. Simultaneously, its antiseptic properties provide a gentle detox for the bowels. To use it as a tonic and for a gentle cleanse, take no more than 3 drops internally per day. Before you start using lemon essential oil, here are a few things you need to know. While it’s an all-natural product with no side effects when used as recommended, you still need to be cautious when ingesting essential oils or applying them to your skin. Although lemon peels are edible, lemon essential oil contains the plant chemicals within them at a high concentration. Limit yourself to no more than 3 drops a day if you’re taking it orally. When applying lemon oil or any other citrus oil to your skin, make sure to avoid sunlight for 12 hours afterwards, or wash it off before sun exposure. While it’s considered safe for topical use, it’s best to dilute lemon oil in a carrier oil like coconut or olive oil before putting it on your skin. As a general rule, use 1 teaspoon of carrier oil to dilute 2 to 3 drops of essential oil. Even then, test out the mixture on a small area of skin the first time you use it to make sure you don’t experience irritation.